tamborim, tambourine, timpani, triangles, Udu drums, and woodblocks. String Duet on Do You Feel What I Feel? Joe Tortorici (Eric Cowden, 2nd Engineer), and Brad Powell. Mastered by Michèle Stone at Masterworks Digital Audio, Ltd.
Brad with artist Joel Nakamura, who created the cover illustration for First Step In A Long Journey. 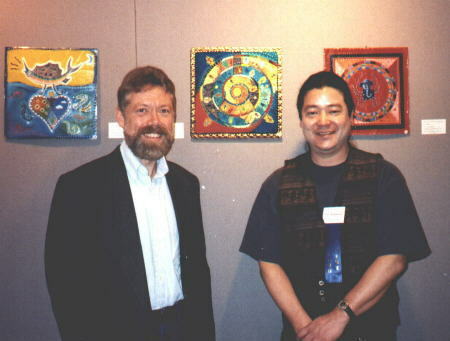 Photo taken at 1998 Hillcrest Festival of Fine Arts, at which Joel was the featured artist. Joel has created illustrations for Rolling Stone Magazine, Los Angeles Times Calendar Magazine, Business Week, as well as album covers for Antonio Carlos Jobim, Dori Caymmi, Don Grusin, Shadowfax, Naomi Judd, and other artists. 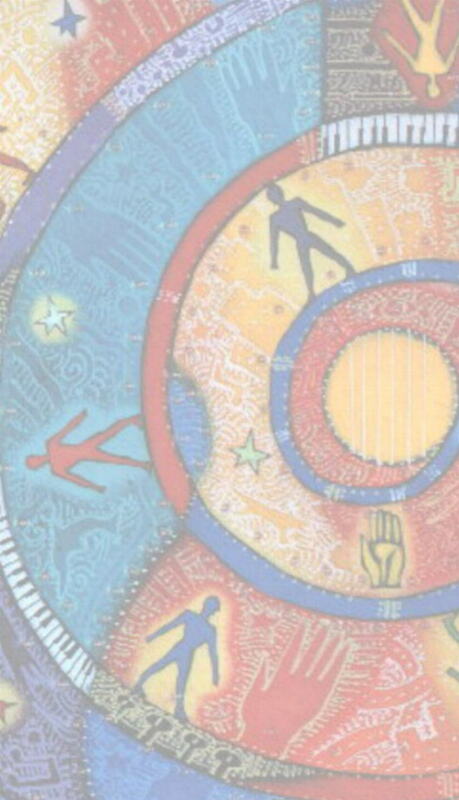 Communication Arts magazine selected Joel's First Step In A Long Journey cover for their July 1998 Illustration Annual. The word and symbol are trademarks of Geofonica, Inc.